Again, the horror in Syria dominated the headlines due to dictator Bashar al-Assad’s appalling disregard for human life. The humanitarian situation in the Eastern Ghouta district near Damascus has reached abysmal depths over the past week as his government continues its campaign to reclaim one of the country’s few remaining rebel-held territories. The UN remarked that Syria had endured a week of “hell on Earth” as a result of the pro-government forces’ ruthless attempt to annihilate opposition forces that have controlled the area since 2013. The UN reported that 341 people had been killed since Sunday primarily from air strikes decimating entire communities. Damage and control over the region has created a major humanitarian crisis as aid and security has not been provided efficiently to support innocent civilians affected. The UN Security Council is considering a drafted resolution to provide humanitarian aid and medical evacuations, particularly as the Syrian government and allies including Russia, have targeted hospitals and other institutions such as schools, markets and mosques. Food and medical shortages have led to malnutrition. Residents are sheltering in basements or wherever possible in the parts of buildings that remain standing in order to avoid the reported onslaught of mortar shells, barrel bombs, cluster bombs, and bunker-busting munitions. Furthermore, Reuters reported that on Sunday, according to the health authorities in the opposition-held area, several people suffered symptoms consistent with exposure to chlorine gas, with one reported death and many treated for respiratory complaints. In response, the Russian defense ministry accused rebels of preparing to use toxic agents in Eastern Ghouta so they could later accuse Damascus of employing chemical weapons. 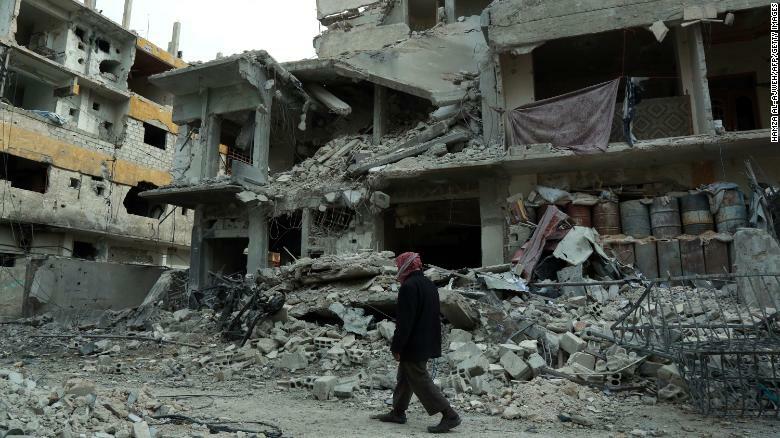 A UN Security Council resolution passed on Saturday, calling for a 30-day ceasefire in Syria, but activists and locals said the shelling continued regardless. The area is home to 400,000 people. 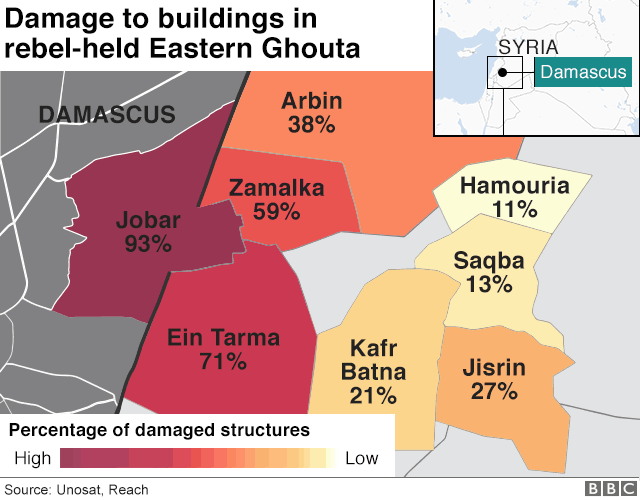 An Aljazeera feature, Eastern Ghouta: What is happening and why gives an overview on the situation. On Monday, Princess Noura Bint Faisal announced that Saudi Arabia will host an Arab fashion week in March 2018, a first for the swiftly-evolving kingdom. Among numerous social reforms in Saudi Arabia, this is another step forward to a more modern society and promotion of entrepreneurship, design and art. The General Entertainment Authority wants to drive more growth in the fashion industry. The head of the authority has said that 5,000 events are planned this year alone, including those by Maroon 5 and Cirque du Soleil. Construction of the country’s first opera house has also begun in Riyadh. The country hosted its first jazz festival on Friday featuring bands from Riyadh, Beirut and New Orleans. Both men and women attending the festival though the traditionally-separated male and family section policy was enforced. Check out some photos from the event here. Several days after Pakistan announced it was sending over 1,000 new troops to Saudi Arabia, details about what they will do and why they are being dispatched still remain mysterious. The decision comes three years after Pakistan refused to send soldiers to join the Saudi-led intervention in Yemen. The Pakistani military has officially said that the troops are on a “training and advise mission” and will not be deployed outside of the kingdom – and specifically not in Yemen. There are already 1,600 Pakistani personnel in Saudi Arabia, Defense Minister Khurram Dastgir told Pakistan’s Senate. While debate is ongoing about the issue in Pakistan, elsewhere, some analysts have speculated that the real mission of the Pakistani troops may be to protect the Saudi royal family months into a purge that has seen hundreds of the kingdom’s richest citizens and relatives rounded up for alleged corruption, reminiscent of a similar arrangement in the 80s. RBruce Riedel told the Middle East Eye that he believes the new deployment will primarily be used as Saudi Crown Prince Mohammed bin Salman’s personal guard force, backing up royal bodyguards. Lastly, in a somewhat petulant display of Turkey’s ongoing discontent over the ambiguous status of the United States military role in Syria, Turkish authorities renamed a street where the U.S. Embassy is located with the name of Turkey’s military offensive in Syria that has led to tensions between the allies. Ankara municipal workers put up the new sign in Turkish for Olive Branch Street, replacing the one named after a late Ankara governor. Turkey launched Operation Olive Branch last month to drive a Syrian Kurdish militia, YPG, out of northwest Syria. The militia group, which Turkey regards as terrorist, has been a major U.S. ally in the fight against jihadist extremists. Until next week!